German Automakers Account For 16% Of Electric Car Sales In U.S. 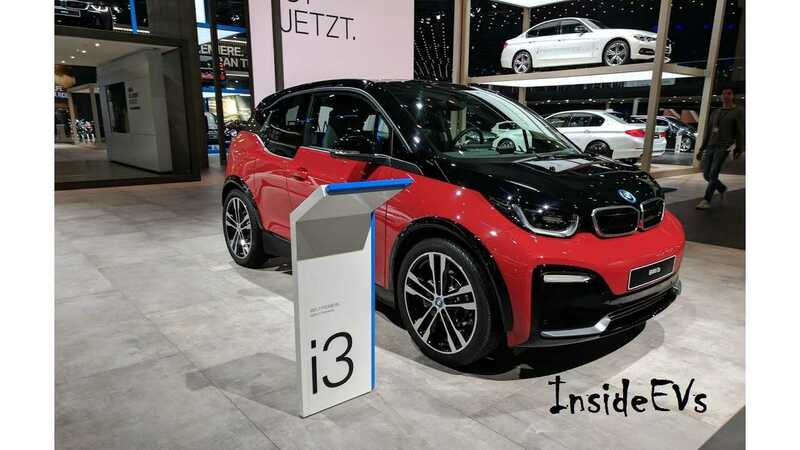 The German Association of the Automotive Industry (VDA) noted that German OEMs accounted for 16% of total plug-in electric car sales in the U.S. in the past year. While 16.2% seems like a solid part of the pie (two times more than the German 7.9% share of the U.S.' total light vehicle market), according to our stats, the share held by German OEMs has in fact been decreasing over the past years, despite introduction of many new plug-in hybrid models. The peak was 20.3% in 2015. 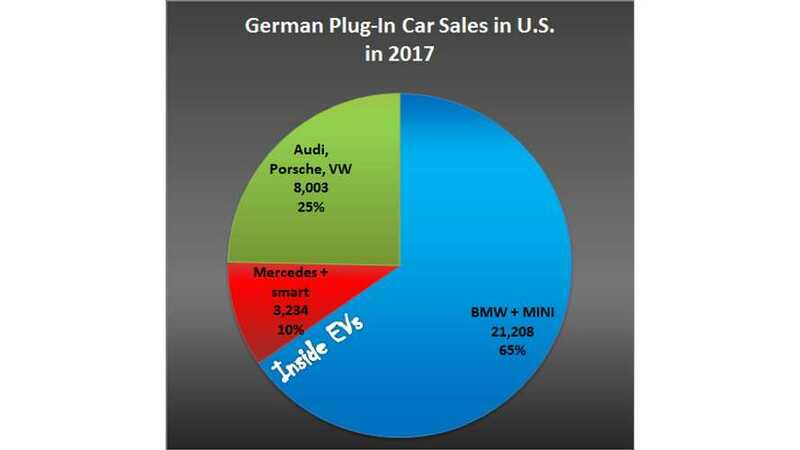 In 2017, the biggest German OEM in plug-in electric car sales in the U.S. was BMW (with MINI), representing two-thirds of total. BMW increased its sales from 16,107 in 2016 to 21,208 in 2017, while Volkswagen Group decreased from 10,721 to 8,003. Daimler, on the other hand, increased sales from 2,241 to 3,234. Because of the high number of plug-in hybrids, German OEMs held around 35% of that segment in the U.S. in 2017.